Though clearly sheltered—“She dressed like an old maid,” vibraphonist Terry Gibbs recalls—Merrill plunged into the New York bop scene, singing wherever she could. A lucky break occurred in 1952, when a grand pioneer of jazz piano, Earl Hines, hired both her and singer Etta Jones to tour with his orchestra. The two newcomers, one white and the other black, sat together on the stand, at a time when integrated bands were still controversial. One night the two young women were at the bar of a club listening to Charlie Parker, whom Merrill had met. Suddenly Parker announced, “Helen, come up here and show them how we sing in New York City!” She performed “I Cover the Waterfront” with Bird playing behind her—a public benediction from a musician she viewed as a god. Merrill was then wedded to another gifted bebopper, the handsome but drug-addicted saxophonist and clarinetist Aaron Sachs, who played with Hines. “It should have been only a love affair,” she says. In the late ’50s they divorced; Merrill wound up supporting their son alone. In 1956, she fought to record with Gil Evans, who was best known at the time for having arranged the Miles Davis landmark Birth of the Cool. “Gil took so much time in the studio; it had to be perfect for him. Bob said, ‘I can’t afford that!’” Merrill held her ground and wound up with a classic vocal album, Dream of You. She had enthused about Evans to Miles Davis, another of her fans. “I think I will call Gil and record with him again,” he answered. The next year, they made Miles Ahead. Gigs were scarce; Merrill had to work in an art gallery and a boutique. In 1959 a failed love affair left her devastated, and when jazz critic Leonard Feather invited her to fly to England and sing on a BBC radio show he helped produce, Merrill scooped up Alan and went. She found that her album with Brown had traveled far. France wanted her; so did Belgium, Germany, Brazil and Italy. In 1960, Merrill was asked to sing in Japan. She stayed a month. The Japanese were touched by her obvious love for the country and her eagerness to return. When Merrill finally went home in 1963, she had to start from scratch. Katz spent his own money to produce The Feeling Is Mutual, an album that teamed her with cornetist Thad Jones, guitarist Jim Hall, bassist Ron Carter and Katz. Eventually it was hailed as another masterwork of intimate vocal-jazz, but work in the U.S. remained hard to come by. By 1967 she was back in Japan, where she lived for several years with her second husband, Don Brydon, United Press International’s news supervisor for Asia. Oddly, she performed little—“He didn’t like me to work in nightclubs”—but the recording studio remained her haven, a place where she experimented fearlessly. Well before Ray Charles delved into country music, Merrill recorded the album American Country Songs. On Parole e Musica (Words and Music), an actor recites Italian translations of American standards and Merrill sings them. She tackles protest songs on Helen Merrill Sings Folk, free jazz with bassist Gary Peacock’s trio on S’posin’ and rock on Helen Merrill Sings the Beatles. Affinity pairs her with the haunting tones of the Japanese bamboo flute. On Jelena Ana Milcetic a.k.a. 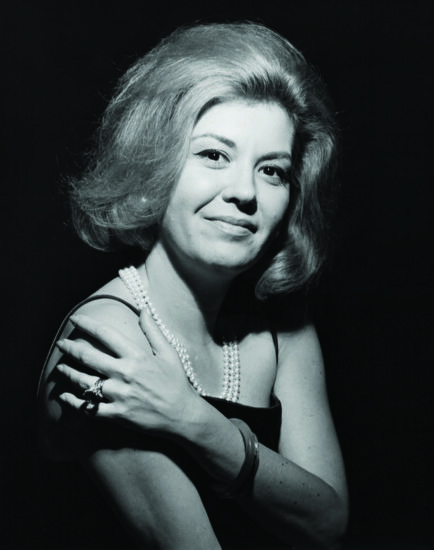 Helen Merrill, she explores her Croatian roots. Along the way came albums with Teddy Wilson, John Lewis, Stan Getz and Ron Carter. 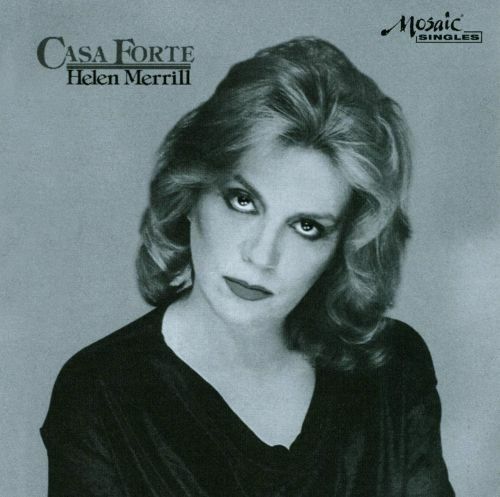 Most meaningful to her is Casa Forte, the Brazilian album she made in 1980 with the love of her life, Torrie Zito. Many more collaborations as well as marriage followed. Then Zito died of emphysema, and for years her will to sing faltered. Merrill had long said that she sang in the third person; if she sang in the first, the emotion would be too raw to bear. Playing a concert in Israel, Merrill sang “Don’t Explain,” a song from her first album. “A word, just one word,” she recalls, “and I started to cry. The word was ‘endures.’ ‘You know that I love you/And what love endures.’” She had to leave the stage.